Rational Emotive Behavior Therapy is a counseling treatment program initiated by Dr. Albert Ellis in the 1950’s. It is a form of psychotherapy which deals with a person’s negative thoughts and feelings. , and he is to recognize his feelings and thoughts that make him an unsuccessful person. After that, the work of Rational Emotive Behavior Therapy or REBT begins. After ascertaining these bad thoughts and feelings that make the person self-defeating, the logic of such opinions and ideas will be questioned. The point of this is for rational thinking to go into play for a more positive and productive outlook on things and life, in general. When you entertain such undesirable thoughts and feelings, your actions and words will follow naturally. You will be in emotional turmoil and will behave according to how you feel and think. If your behavior is too toxic in a sense, your road to life goals will be affected. You won’t be able to achieve what you long for just because of such sentiments and beliefs. People are not perfect, and there are times when you are down and not feeling good. It’s ok to have that moment, but like any other reasonable person, you have to get back up and inspire yourself to move on. You have to manage it yourself and cope for the better. But there are others who can’t do that quickly, and they need all the help they can get. Rational emotive behavior therapy is one approach to do that because who wants to live in a rut and continuously spiral down, right? If you are depressed or extremely sad and feeling hopeless for more than two weeks at a time, then, you can benefit from REBT. When a person feels very down, they don’t want to do anything else, and this is damaging because you’re stumped. You need to get out of that dark place and turn your negative emotions into positive ones. 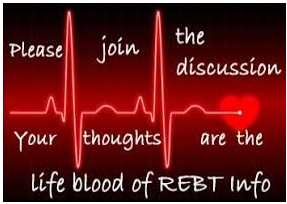 REBT is your therapy choice. It will also work so well with other issues like anxiety, extreme stress, tremendous guilt, and intense anger. If you have these problems, you can always opt for REBT. It will condition your mind and get you back right on track. You don’t even have to spend a long time with this therapy approach because REBT is often a short-term program. Experience difficulties every day, but most people get over it in a snap and go about their day without these obstacles hindering their way of thinking. For those who cannot do just that and is going around circles, there is always REBT. What are these thoughts and feelings that keep you from moving on and be a better version of you? 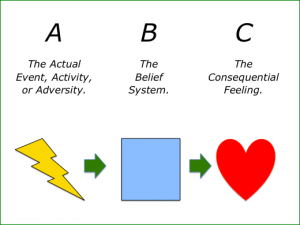 REBT will help you realize these questionable things in your head and heart. 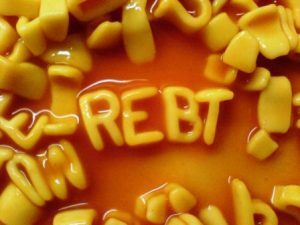 Once you understand these issues, REBT will help you know that it’s petty or irrational for you to think or feel this way. You will realize that these bad “vibes” will harm and destroy you, and you don’t want that to happen. There will be some brain exercises using the REBT approach which will significantly better your mood and diminish those negative vibes. Aside from that, you will be able to change your attitude and make it more positive until you don’t let the negative emotions bring you down anymore. With that, REBT has done its purpose. REBT can only be performed by professionals who have the training and skill for such approach. If this is what you want and need, then, ask for credentials before booking an appointment.